Heidi is Certified as Yoga Therapist by the International Association of Yoga Therapists (IAYT) and invites you to enjoy yoga poses, breathing practices and relaxation techniques in a safe, joyful and uplifting atmosphere. As a C-IAYT Yoga Therapist, certified by the International Association of Yoga Therapists, Heidi Nordlund offers Yoga Therapy with a strong Ayurveda influence. Following the classical tradition of individualized yoga practice, Heidi formulates recommendations based on your particular constitution and imbalances. Stay tuned for upcoming Yoga and Meditation workshops in Colorado and Arizona. Thank you! “Refreshed, invigorated, renewed. Words that always come to me after being in one of Heidi’s classes. Realizing that all this is new to me is even more thrilling. I so suggest this class, whether you are in need or just wanting a short vacation to restart yourself. I am a caregiver so my life is stressed and the road is rough. It is a day by day fight. Heidi’s classes are my release and ability to find even ground. She allows me to find my sight and my path. I am able to choose a path of love, caring and strength. I am always so delighted for one of her classes to reset myself.” Joan R., Longmont, CO. Recommendations are drawn from all facets of classical yoga, such as physical movements (asana), breathing techniques (pranayama), meditation, relaxation, yoga nidra, cleansing practices (shat karma), yoga philosophy, diet and nutrition, self-care and daily routine. Yoga is an ancient spiritual tradition of India. Yogis sat in meditation for long periods of time for their spiritual development and discovered that ease in body and mind is required. Through observation and practice, they found that particular yoga poses, movements, breathing practices, dietary, daily living and cleansing practices affect the body and mind in particular ways. Breath can serve as a bridge between your body and mind. Just as stress or relaxation can change your breath, controlling your breath in specific ways can change what you experience in your body and mind. Yoga therapy is a modern term with ancient roots. 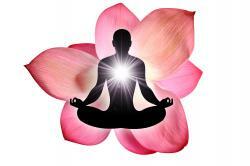 Yoga therapy is the use of the teachings and tools of yoga to help bring healing to body, mind and spirit. By understanding how particular asana, pranayama, and other yoga practices affect your body and mind, a program of specific practices can be developed for your specific needs. Heidi has worked with individuals who have been suffering from a wide range of issues such as depression, anxiety, neck/shoulder/back pain, arthritis, scoliosis, digestive issues, high blood pressure and insomnia. One of the most beautiful aspects of yoga is that it can be adapted to meet you where you are right now. Call today, if you would like to experience the healing, uplifting and enlightening nature of yoga privately or during birthday parties, anniversaries, business gatherings, family get-together events or fun with friends. Call Heidi to schedule a private session 720-771-8534. “Heidi was very thoughtful to this being my first experience with yoga & meditation. She was kind, caring, very knowledgeable. I have already given information to friends and family to give one of her workshops a try. She is amazing and I will be a return visitor to a future workshop.” Eileen S., CO.
Heidi Nordlund tends to her clients with great attention and care. She has taught yoga to large groups and to individuals privately for more than sixteen years. She is open-minded, friendly, reliable, honest and intuitive, and creates a safe and fun space conducive for learning. Yoga is the vehicle to deepen your connection between body, mind & Soul and serves as a resource for your personal growth and healing.